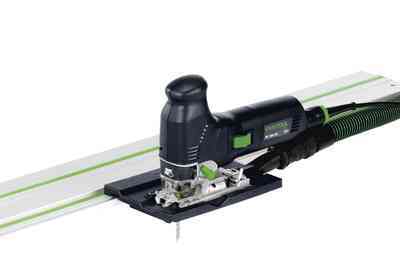 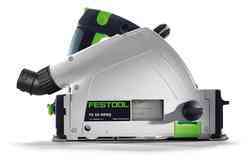 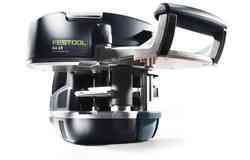 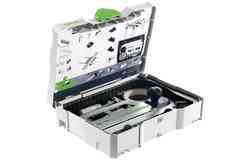 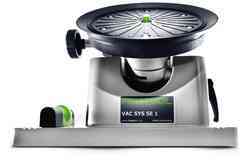 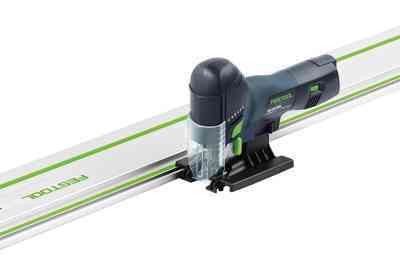 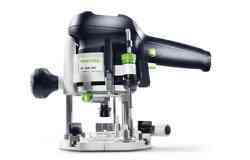 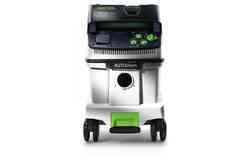 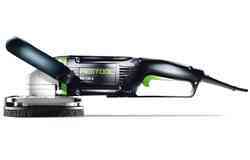 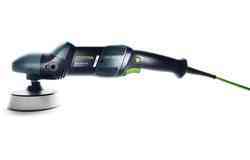 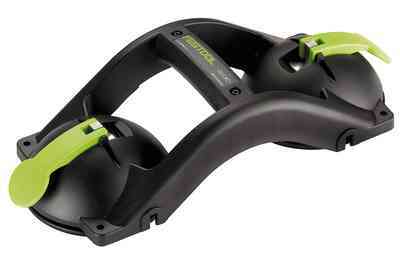 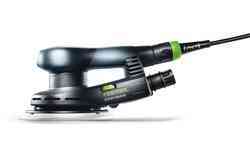 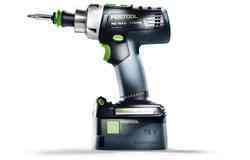 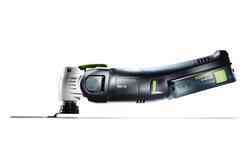 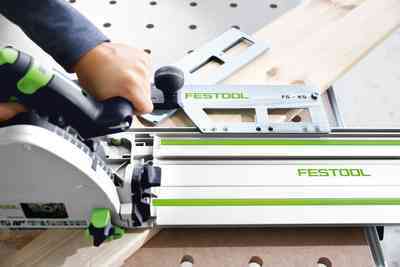 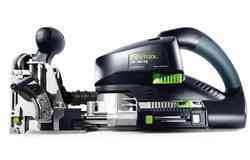 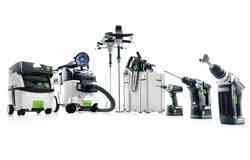 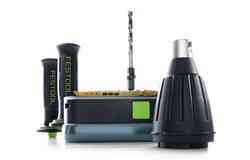 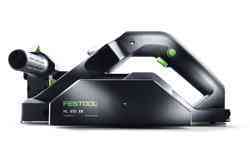 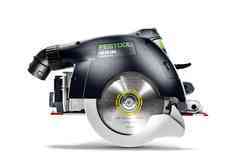 For precise cuts without the need for rework or exact grooves with the router. 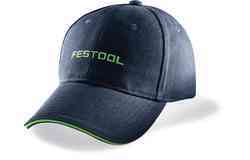 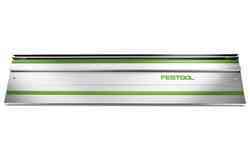 Precise and safe in combination with combination bevel, slideway lining, kickback stop or splinter guard. 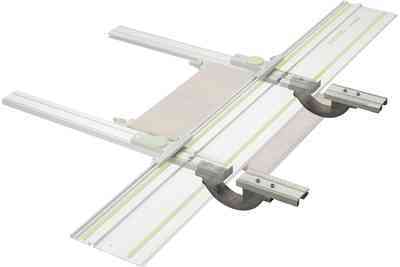 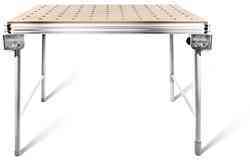 The ideal supplement to the guide rail: The MFT multifunction table – versatile in the workshop and on the job. 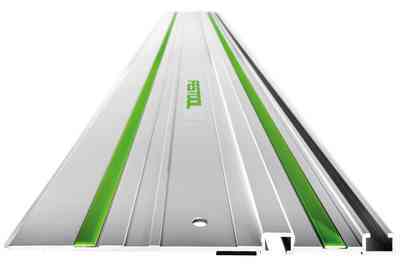 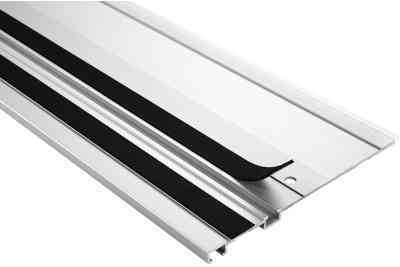 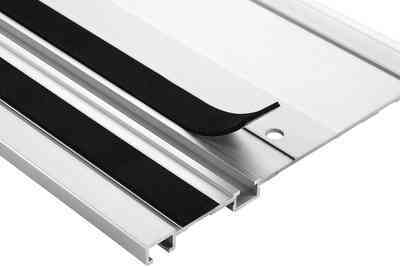 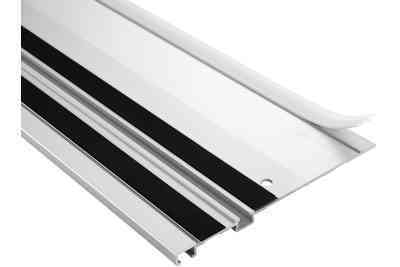 The slideway lining ensures that the machine runs along the guide rail. 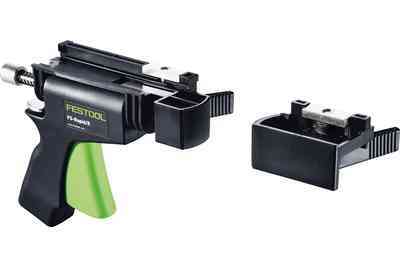 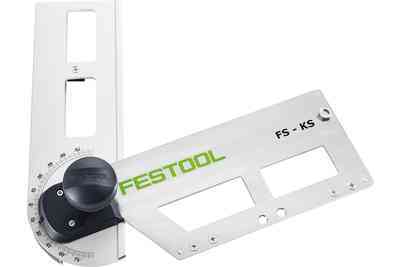 The kickback stop serves as a limit stop or secures the circular saws against kickbacks when inserting in the tool. 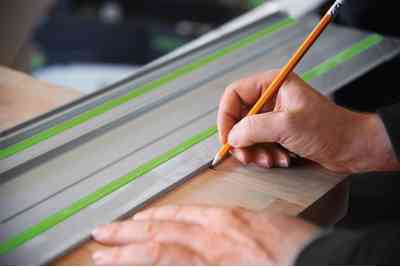 By using the combination bevel along with the guide rail, angles can be directly and easily marked on a workpiece – without a great deal of calculation and effort. 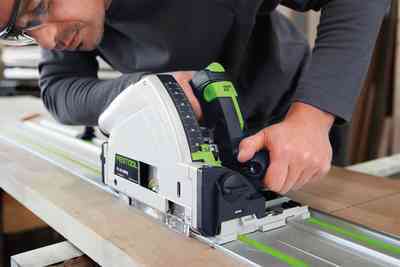 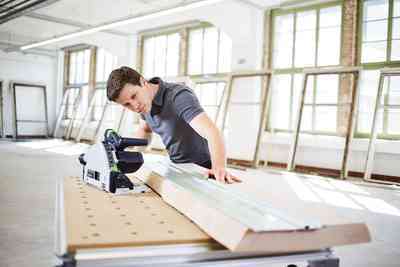 In combination with the jigsaw, accurate cuts can be made in wood that is up to 20 mm thick. 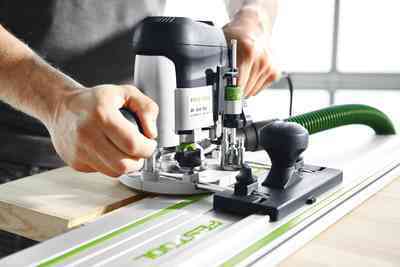 Using the router with the stop allows you to produce precise, straight grooves. 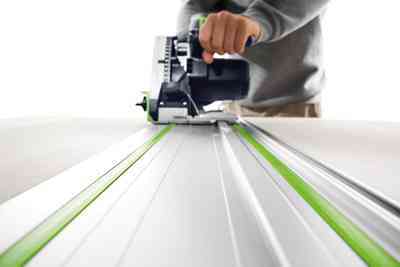 Place directly on the guide rail and start routing. 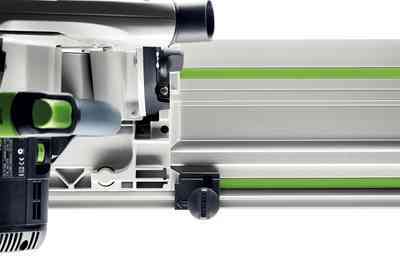 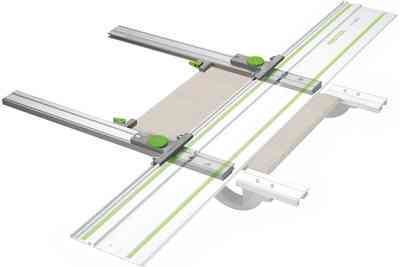 The guidance jaws of the circular saws can be adjusted to fit the guide rail without tools. 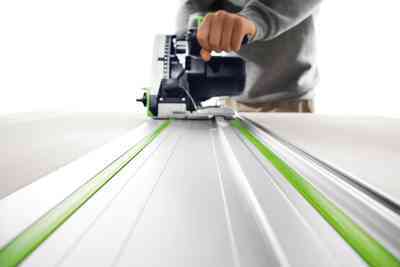 This allows the machine to be guided without play and produces exact cuts. 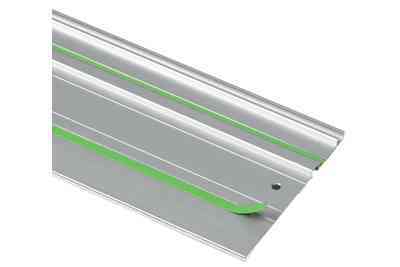 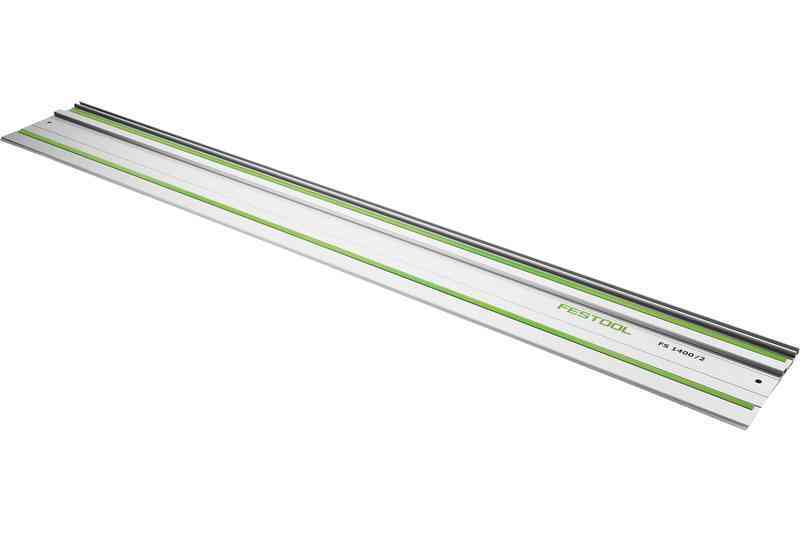 The adhesive cushion strips keep the rail secure while simultaneously protecting the surface. 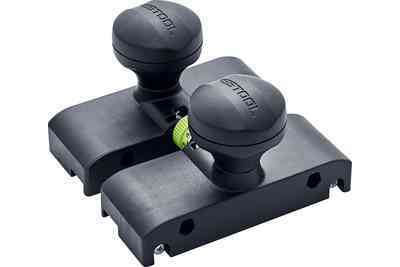 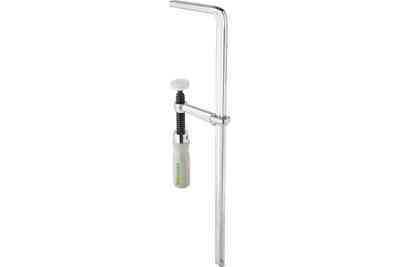 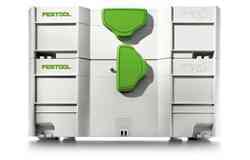 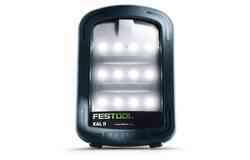 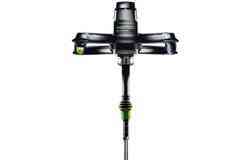 Clamps, FS-Rapid quick-action clamps and the GECKO dual suction pad are also available for a more secure grip. 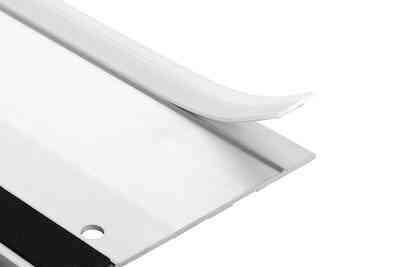 The rubber lip right at the scribe mark works as a splinter guard and prevents the edges from splintering even with angle cuts. 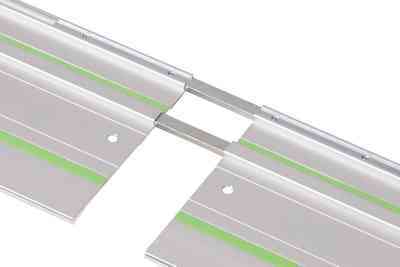 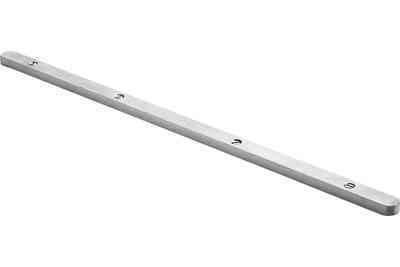 Two guide rails can be conveniently connected and aligned using the connecting piece. 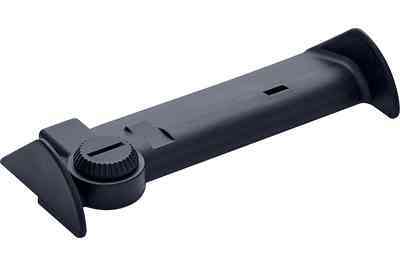 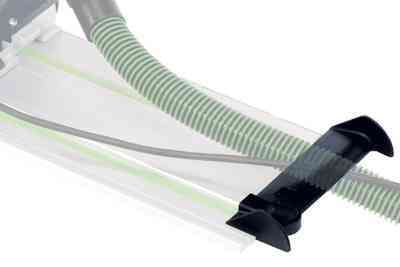 The deflector prevents the suction hose and cable from getting caught up on the end of the guide rail.